The latest infrared burners are adept at reaching temperature much faster than older models. In addition, near instantaneous uniformity in heat distribution means you won't have to turn your burners up and down to get that delicious golden-seared steak with perfect cross hatches. All this adds up to greater energy efficiency, which means less fiddling with gas tanks so you can get directly to cooking. Many of today's best grills allow you to interchange an infrared burner with a traditional one. Having a low flame adjacent to a high-heat infrared burner means you can sear that burger like a pro on one side and brown those sausages on the other. Nothing can lock in moisture like a good searing from an infrared burner. 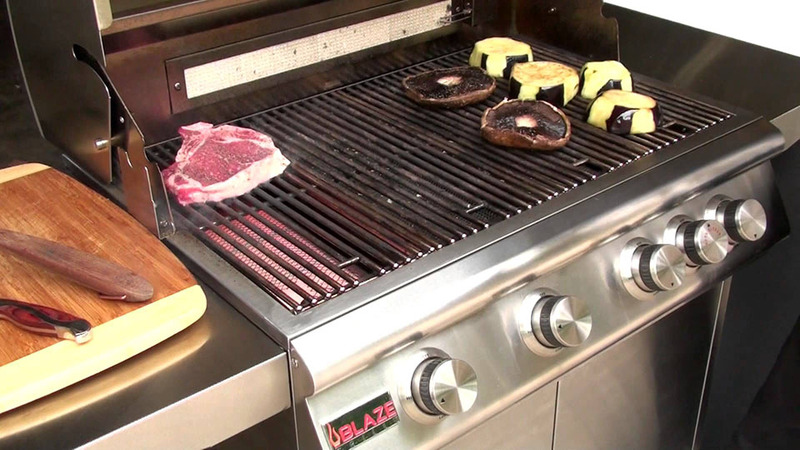 Some high-quality grills include a rear infrared rotisserie burner along with a rotisserie kit. This application gives many backyard cooks the confidence to do something they may never do otherwise. A good rotisserie chicken depends trademark evenly distrusted heat of infrared technology. At one point, most of us have had grease drips cause flames that flare up a bit too close for comfort. Fast-heating and high temps minimize the flare up risk as they vaporize grease drippings. This brings the welcome side-effect of increasing the smokey flavor that's expected from experienced cooks. Another safety feature is that with reliable, uniform, and high temperatures there's fewer worries of less than thoroughly cooked meat. This is one reason why infrared heating is often used by safety managers within the food and agricultural processing industry. Of course, always follow the manufacturer's safety precautions when using any cooking equipment. The varied features and benefits of infrared burners make them worth a few extra dollars. 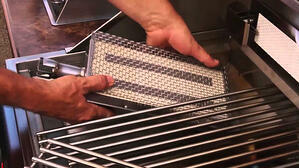 Besides, a portion of the cost is returned immediately as your grill uses less gas to reach higher temps. Understanding the value of efficiency, taste, aesthetics, and safety means you owe it to yourself to consider infrared burners. This is particularly true if you love a perfectly cooked steak as much as I do.